Meadow Creek Dental & Auburn Avenue Dental (Auburn) - Book Appointment Online! We are a full service, fully computerized dental clinic using modern dental techniques and helping meet the dental needs of residents of Issaquah, Sammamish, Bellevue, Auburn, Federal Way & Kent. We have been changing lives for 20+ years, one smile at a time and do most of the dental specialty work in-house saving you valuable time and energy. At our clinic, you will experience a comfortable, relaxed environment where you receive complete & professional oral healthcare. Decades of dental experience and a high standard of excellence in personalized dental care enables us to provide our patients the care they expect and deserve. Dr. Dipti is well known for treating her patients with personal attention & compassion and the ethos of the clinic is to treat every patient as a guest. 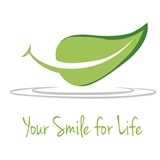 Visit us today and curate "Your Smile for Life". I thought Dr. S. did a fantastic job. This was my first visit with her. She replaced 3 old fillings. She did them all on the same day even though they were in 3 different parts of my mouth, which was fine with me. I also loved the fact the staff DID NOT put any new weird contraptions in my mouth while performing the fillings. My other dentist used a "damn" and several other weird things that were ridiculously uncomfortable and unnecessary, I will be going back next week for a crown. Dr. S. is the bomb!